Swingeing cutbacks in Council services ranging from changes in funding for adult care and reducing the number of public recycling sites by one-third, to buying fewer library books and introducing wheeled bins across the borough are being mooted as Hounslow Council tries to shave one-third of its budget over the next four years. Under the plan to be presented to the Overview and Scrutiny Committee on Tuesday (October 28), 250 jobs (67 of them full time) would go, with job losses in almost every department. 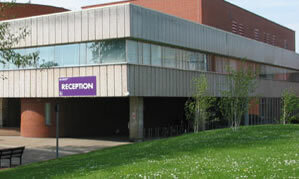 Fewer children would be put into residential care (in favour of increased fostering), opening hours to the Civic Centre would be reduced, and parking permits would become 'virtual'. The Council also wants to phase out Pay & Display units in favour of cashless parking through RingGo and charge staff for using the Civic Centre car park. Raising permit charges is to be considered. Hounslow Council claims cutbacks in government funding have left it with nearly £59 million to save by 2018/19 on top of the £60 million it has made over the last four year budget period. The Council magazine 'Hounslow Matters' also faces the chop, in favour of more use of technology to engage with residents. "The Council has to make very substantial savings over the next four financial years as a result of the continuing reductions in government funding. This is combined with cost pressures on services such as Adult Social Care as people live longer, needing more care and growing numbers of children needing school places and other support. "Having already made £60M savings over the past four years without any serious impact on services, we now have to take a similar amount (£59M) out of our budget over the 2015 to 19 period. This represents about 33% of our current net spending. A four year strategy will help manage these complex and competing demands most effectively," according to a report which will be put before councillors. Rubbish Collection: The Council says that 40% of the borough’s kerbside properties are using wheeled bins and the remaining 60% could be by summer of autumn 2015. The cost is estimated at £850,000 and savings would come on the cost of waste disposal as residents will have a limit on the amount of waste they can fit into the bin. Street cleansing recycling. The Council believes that 750 tonnes shall be potentially recycled in 2015/16 from street cleansing/recycling. However it is planned to cut by one-third the number of public recycling depots in the borough from 40 to 27. Private schools and academies are to be charged for recycling, developers of flats to be charged 'consultancy' and other fees. Libraries: An enhanced "online offer" in libraries will enable LBH to have "a more efficient balance between physical and virtual book stock" leading to savings on their book fund. Environment: Savings proposed by letting go of one spare gritting vehicle, with a back-up plan to jointly work with other councils in case of a need for more winter gritting. The grass-cutting regiment to be cue by 66% by summer 2016. Parking: The Council proposes a rationalisatio of P & D machines to promote cashless parking with RingGo. This would lead to reduced costs of maintainance and collection charges and staffing levels. Housing: The commitment to deliver a further 3,000 affordable homes in the next four years remains. The cost of temporary accommodation for homeless people with will be reduced by streamlining and modernising services and strengthening ties with the private rented sector. The Council’s property portfolio, including the Civic Centre, will be reviewed. Discussion after the Cabinet meeting will take place at the Area Forums in November, with full decision to be taken by the full Council in January.